How do I renew my Michigan architect license? Renew your license online. Pay the $70 renewal fee via MasterCard, Visa, Discover, or e-check. You may check to ensure all of your renewal requirements were met the day after renewing by visiting this website. PLEASE NOTE: When using an e-check a 10 day hold will be placed on the check – there are no exceptions. What are the continuing education requirements for Michigan architects? Michigan architects are required to complete varying amounts of continuing education depending on how long they have held their license. If licensed between 12 months and 24 months – you must complete 12 hours of continuing education. If licensed more than 24 months – you must complete 24 hours of continuing education. How long does it take to receive my new Michigan architect license after renewing? You will receive your new license within 5 to 10 business days after completing the renewal process. Where do I find courses to renew my Michigan architect license? Architects Training Institute offers a complete renewal package and individual courses approved by Michigan and the AIA. Courses are available online 24/7 on any internet capable device. Who submits my Michigan architect continuing education? The architect is responsible for submitting continuing education certificates to the state and maintaining copies for their records in case of an audit. Architects Training Institute provides printable certificates immediately after course completion and maintains records for you at no additional cost. 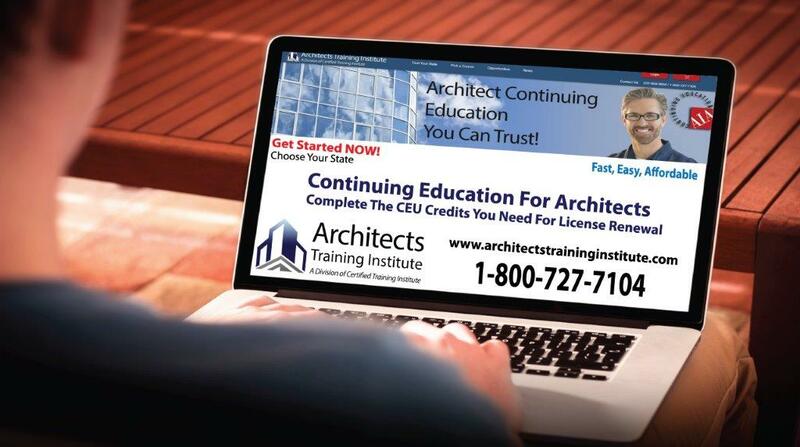 In addition, Architects Training Institute will submit your continuing education to the AIA. What happens if I do not renew my Michigan architect license on time? Michigan allows architects to renew their license for up to 60 days after the expiration date by paying an additional fee of $20. After 60 days architects must apply for relicensure. This entry was posted in Architecture and tagged Architect Renewal, Michigan architect renewal.